Yachting Boating World: Neil Salter has been named as the new managing director of Mylor Yacht Harbour in Cornwall. He will replace Robert Graffy who has stepped down. 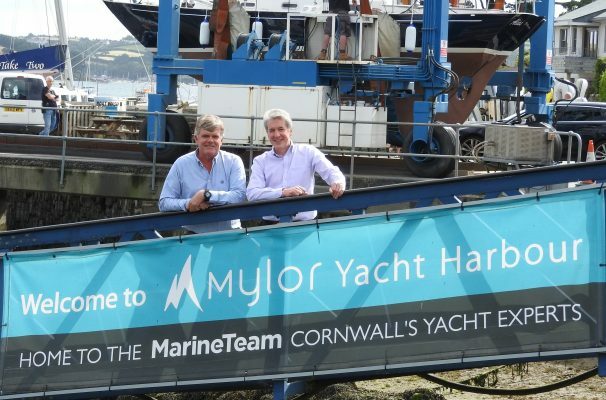 Mylor Yacht Harbour has announced that its new managing director will be Neil Salter. He will replace Roger Graffy, who has stepped down after 20 years in the role. Salter has spent the last 18 years working with Marina Development Limited (MDL), managing some of the largest marinas and their related operations in the UK. He has also set up marinas in Spain and Italy and has consulted widely within the industry. Devon-born Salter has now moved to Cornwall from Southampton to head up the state-of-the-art marine business. Mylor Yacht Harbour has been built up by Graffy after he took the helm two decades ago. Spotting its huge potential, he and his co-owner, wife Dinah, set about a £7 million investment programme to establish one of Cornwall’s busiest boatyards and marinas. They aimed to match Mylor’s fabric and infrastructure to its natural environment. Nearly 100 people applied for the position. Graffy explained while Salter was “the dream candidate”. “We needed someone who would share our values and was capable of building and growing the business and all the people in it,” said Graffy, who will remain as chairman and, with Dinah, will continue to own the company. “We also wanted to find someone who was better than me – and I’m delighted to announce that such a person exists!” he continued. “Neil believes in building great teams, delivering excellent customer service, developing sites, working safely and maximising financial performance – all of which makes him our dream candidate for the job,” concluded Graffy. Salter will be in overall charge of all Mylor Yacht Harbour’s operations. This includes its marine team of engineers, technicians and boat-builders, its boat storage and marina activities and developments.